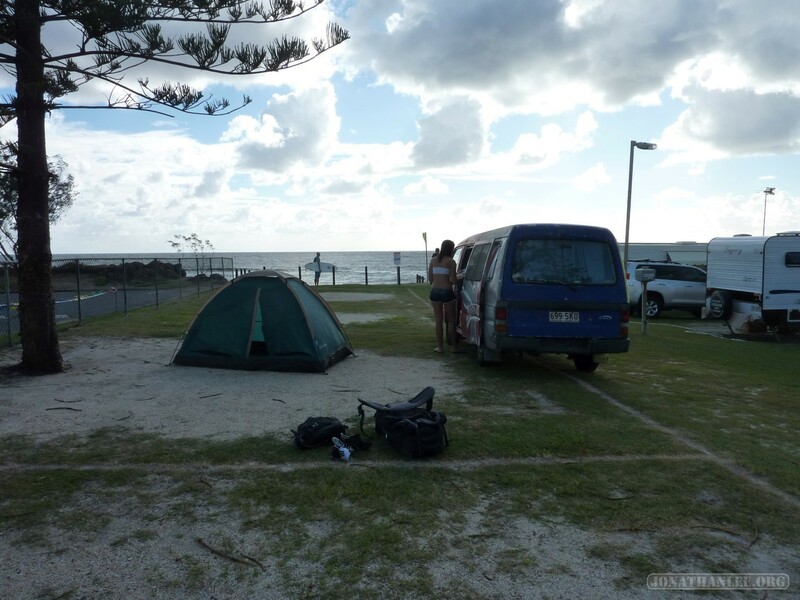 On the way down the Gold Coast, I tried out travel camping almost every night – since the campervan was only large enough for two (my new Canadian friends), I slept outside in a tent. 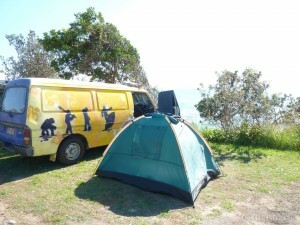 It was pretty comfortable though, since it was fall in Australia. And in the week and a half that we traveled together, I had a lot of variance in my camping. Exhibit A: camping right along the coast, going to sleep while listening to the waves. I think the best part isn’t even falling asleep to the waves, but waking up to both the sound of the waves, and the warmth of the sun shining down on my tent. 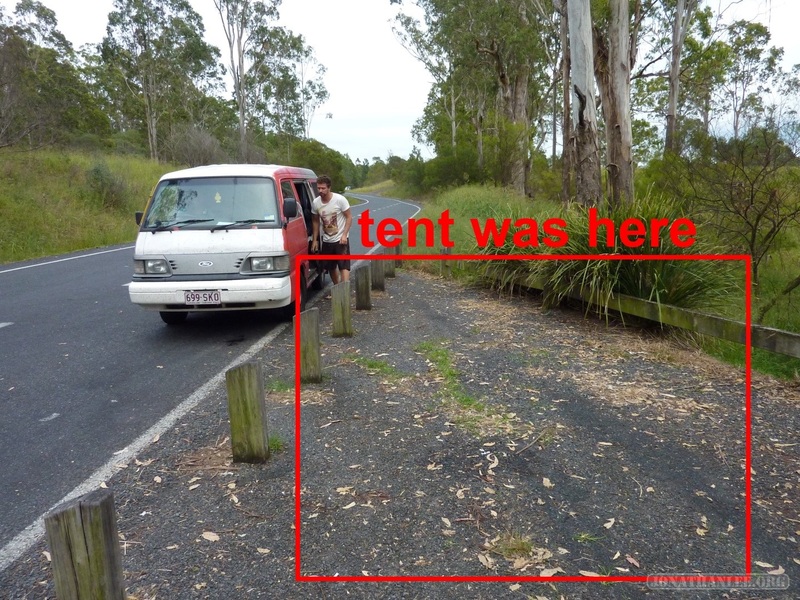 Exhibit B: camping right along the side of the main highway, after finding that every campground in the area had closed at 5pm. Seriously, every campsite closed at 5pm – even if they had space, they wouldn’t allow you to check in. Take my money, damn it! 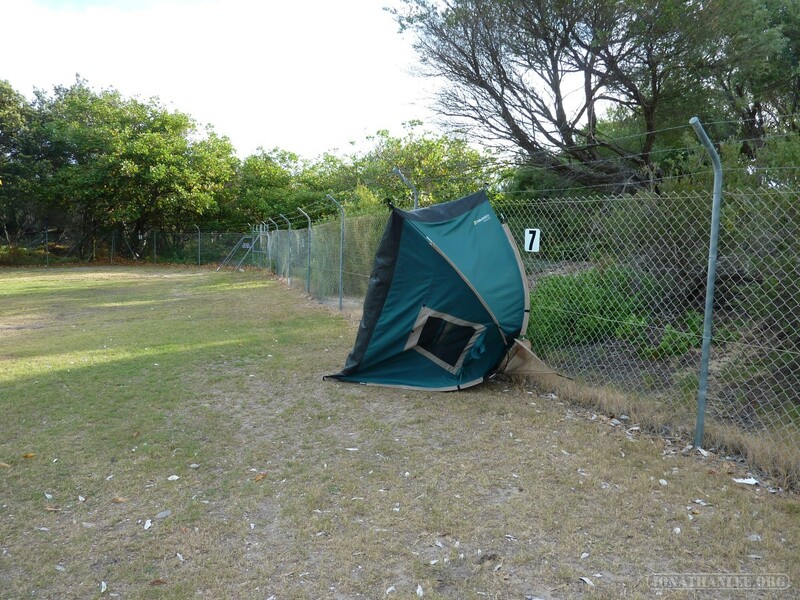 Exhibit C: tent + wind + dubiously placed pegs. My travel companions and I all laughed our asses off, but the boy scout in me was so ashamed.